Over the years the world of technology has changed drastically. Nonprofits are expected to outperform with less resources and technology plays a significant role in attaining the goal. Funds are a very important source of revenue for the organization. Constant inflow of funds involves careful management and stewardship of all donors, members, etc and various fundraising activities for the organization. 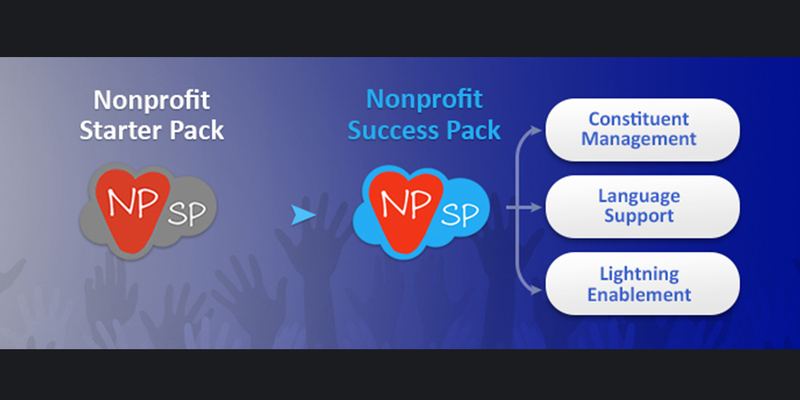 The Nonprofit Starter Pack is a perfect solution for Nonprofits and provides a cost effective base for Nonprofit core requirements such as relationship tracking, financial processing and committed giving. For some specialist features, there are amazing applications built on the top of Salesforce platform. Why apps as Fundraising tools for raising money? To fundraise more effectively, Fundraising applications play a very vital role. They extend help to Nonprofits to obtain funds to begin projects, support causes. Combining these apps with the Salesforce Platform helps deliver a 360-degree view of the donors, personalized relationship management. Doesn’t include functionality for volunteers, events, email marketing, online forms, or payment processing. No provision of doing mail merges out of the box. This calls in for an out-of-box solution to fill in the gaps of the Nonprofit Starter Pack!! Payments2Us is an application from Aakonsult Pty Limited. It is highly suitable for both NFPs and Corporate. Accepts every type of payment. PatronManager is a full featured sophisticated paid fundraising application from Patron Technology. Combines fundraising tools, box office ticketing and subscriptions, email marketing, and specialized reporting and tracking for Nonprofits. Affinaquest, by Affinaquest, a paid application is the brainchild of the creator of Millennium™, now a product of Sage. Helps track solicitations within Campaigns. Tracks planned & major Gift opportunities. Tracks all sort of communications & constituent data. Tracks recurring gifts, records soft credits for gifts & pledges etc. Causeview, offered by Breakeven, does a good job of streamlining everyday fundraising practices. Provides end to end automation for all the Donor Management Needs. Causeview provides standard reports and dashboards to make a fundraiser’s life easier and also has a robust new volunteer and event management module. Opportunities are used to manage major gift and grant prospects through the opportunity pipeline. Custom Transactions object handles one-off gifts, pledges, recurring donations, event registrations, and purchases. Donors are automatically acknowledged through a thank-you letter sent from the system. NGO Connect an application by roundCorner, is a complete paid CRM & fundraising platform for any nonprofit. Each of these Fundraising applications are unique and potentially great for Nonprofits. The immense benefit from them reduces the manual work and provides quality time to Nonprofits to make better and informed decisions.